The tradition of hunting for eggs as a celebration of Easter is older than I thought. I had always assumed that hunting for eggs was another Anglo-American scheme to make more money on capitalising on holidays. The tradition goes back to 1700’s Netherlands, where children would build nests for the ‘Oschter Haws’, the Easter Bunny, to lay its eggs in. While there is no trace of the Easter Bunny in the Bible, some Christians did adopt the tradition and likened the hard-boiled eggs to Jesus and the return to life – spring. Museums have also had a tradition for hunting, or collecting, eggs. The study of eggs, oology, was very popular in the 1800s, just one hundred years after the egg-laying Easter Bunny became popular across Europe. Studying eggs was easier than catching a bird and allowed scientists to investigate nesting and breeding habits. At home, here in Denmark, the Natural History Museum has a collection of over 35.000 eggs from 10.000 different kinds of birds – 20.000 of those eggs came from the same private collection of passionate egg-collector, Sigurd Bruhn! We even have our own Egg-Museum in a former storage-facility for eggs in Holbæk! 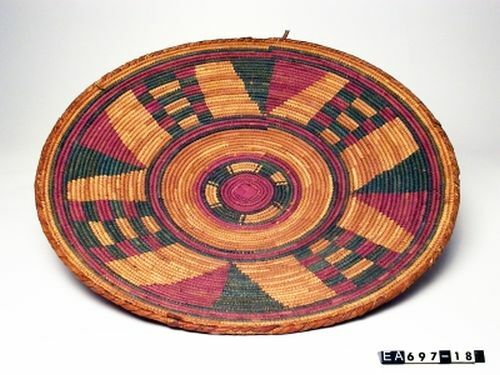 With all this in mind, I decided to go for an egg hunt in the ethnographic collections to see if we had any ‘boxes without hinges, keys, or lids, yet with golden treasure inside’ (to butcher the classic J.R.R. Tolkien riddle). And lo and behold – we did! In 1963, all villagers in Wadi Halfa were ordered by the Sudanese government to leave their homes. Because of the construction of the Aswan High Dam in Egypt, the nearby Nile would soon swell and drown many of the Nubian villages close to it – both in Egypt and Sudan. While the Nubians were forced to leave their homes, archaeologists and anthropologists rushed to their villages to gather historical artefacts and gems that the villagers weren’t able to bring with them. However, it wasn’t the flooding of the villages that drew the world’s attention – but instead millions of dollars were raised to save the Ancient Egyptian and Ptolemian monuments at Aswan (Meskell 2018); the famed temples of Abu Simpel and Philae to give an example. Wadi Halfa does simply not exist anymore, swept away by waters of the Nile – sharing its fate with many other villages. The Nubians have travelled and settled across both Egypt and Sudan and many of their crafts, designs and their music is very much still alive. 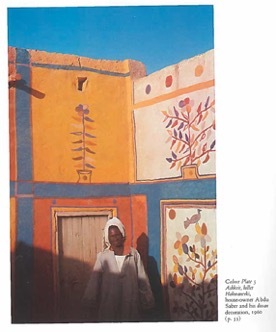 The displacement of the Nubians still haunts the older generation, who vividly remember life on their ancestral lands (Diab 2012; Michaelson 2017). Yet, it remains unclear whether the Nubians will ever receive compensation for losing their homes. 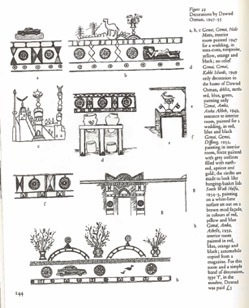 Here is a collection of house decorations from Marian Wenzel’s book House Decorations in Nubiato give a feeling of what Nubia used to look like. 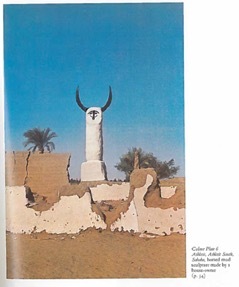 Wenzel like Oldenburg travelled to Sudan in 1964 to record the decorations before the flooding. 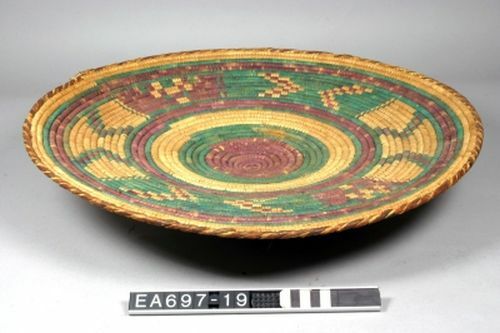 Who would have thought that an egg hunt through the ethnographic collections would lead to the displacement of the Nubians? Thankfully, museums, artists and the Nubians themselves help keep both memories and art of villages like Wadi Halfa alive. This beautiful ostrich egg, that was once part of the wall décor for a newly-wed couple, is now part of a larger tale about the sunken city of Wadi Halfa, the Nubians, and the importance of valuing the art and lives of our contemporaries and not just those that came long before us. Good egg hunting to all of You! 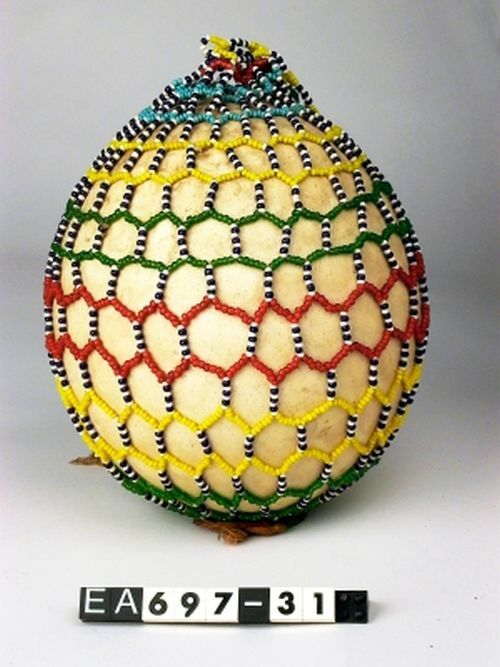 Interested to know more about eggs in museums and other collections? 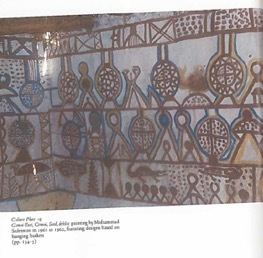 Wenzel, M. 1972 House Decoration in Nubia. London: Gerald Duckworth & Company Ltd.